” If you don’t think you’re a winner, you don’t belong here. " I remember many years ago sitting in a bus as a 1st year bantam player on a Friday night heading towards Riverdale to play against the North Shore Lions, thinking that it was just another football game. I could not have been more wrong. I do not remember the final score but I do remember that it was a very long bus ride home. From that night on I knew who the North Shore Lions were. Over the years I have watched many players that I have coached play for this storied football team on Friday nights at Riverdale. Many great coaches and players have worn the Lions colors and it is now up to the 2014 team to play with pride as players have in the past. For those of you that have been a part of any team that I have been involved with, know I am very energetic and demand maximum effort from my players and coaches. I surround my team with coaches that will create a positive atmosphere, where the players are not afraid to make mistakes but encouraged to learn from them. The players will be challenged on and off the field. The coaches will continue to treat the players with respect and expect the same in return. In my 11 years in North Shore, I have learned from many great coaches and I can guarantee that we will field a team that is committed and prepared to compete every minute of every down in every game. For the last 47 years many players and coaches have worked very hard to get to the Provincial Championship and the proof is on the wall in the Lions locker room, 34 championships in 47 years. Well gentlemen it is now our turn to work hard and get 2014 on that wall. In the early to mid-1960’s, the North Shore Football League was still in its infancy and at the time there were four bantam teams that played amongst themselves in a house-league system. The names that were chosen for these teams were taken from the western teams in the CFL. These were the Eskimos, Stampeders, Bombers, and Lions, who, at the time, were playing their home games at Rive Boisée park. As it was becoming increasingly difficult to find enough players to make four bantam teams, a decision was made in 1966 to disband the four-team system and to create one elite team that was going to compete the following year at the inter-city level in the fledgling Metropolitan Bantam Football League (MBFL). They still needed to come up with a name for the team so it was decided that whichever of the four existing teams won what would be the last North Shore championship that year, their name would be used for the new inter-city team that was to begin competing the following year in 1967. As it happened, the Lions won that last championship and this was the creation of the team that we now know today. In their inaugural season, under the guidance of their first head coach, Ron Hutchison, they began what was to become a winning streak of 42 straight games without a loss and their first of many provincial championship titles. In 1980, the MBFL fell into the jurisdiction of the Quebec Amateur Football Federation (QAFF) and changed to what we now know as the Quebec Bantam Football League (QBFL). The original MBFL championship trophy was retired and was presented by Bill Allan, then president of the MBFL and founding father of the North Shore Football League, to the Lions for having won the most championships during the time the MBFL existed. 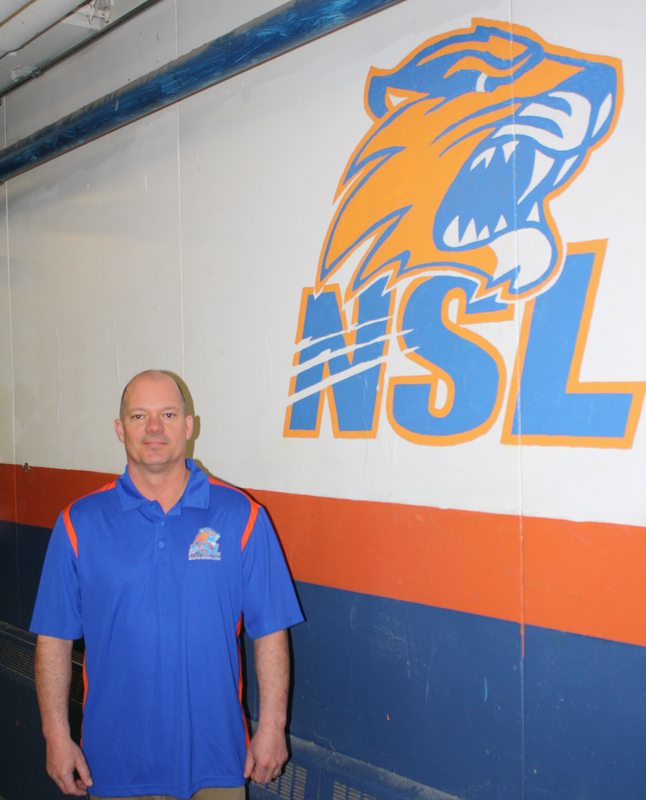 The North Shore Lions have always continued in their commitment to excellence by fielding the best bantam football team possible and being dedicated to the athletic, social, and intellectual development of its players. Many of these players over the years have gone on to illustrious careers at the university and professional levels and many more have gone on to accomplish many great things off the football field as well. The years that a player spends playing bantam football can be some of the most formative years in a young man’s life. We hope to provide the players with the most rewarding and positive experience possible so that they can look back on their years in bantam football with fond memories and remember what it was like to be a North Shore Lion.